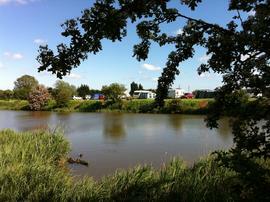 OPEN ALL YEAR FOR CAMPING & CARAVANNING WITH PRIVATE FISHING LAKE FOR ONSITE GUESTS. All our pitches are level and are lakeside, having beautiful views of the 2 acre fishing lake, which is home to our pet ducks & the numerous wild ducks, geese & swans. All pitches have the option of electricity. Dogs are very welcome providing they are kept on a short lead at all times, don't disturb anyone else and you clean up after them. We are situated 2 miles from Wainfleet famous for its' brewery & 7 miles from Skegness with all the seaside attractions. Thorpe Culvert railway station is situated at the end of the road (about 1 minute walk). The train stops morning & afternoon and goes either to Skegness or Nottingham calling at Boston, Sleaford & Grantham. 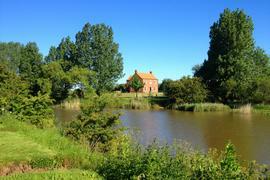 If you are looking for a site with beautiful views & a peaceful location then we look forward to meeting you. P.S. Keep an eye out for the Barn owl & King fishers. From Wainfleet follow road to Thorpe St Peter. Pass by church on right hand side. Turn first Left after church to railway crossing. Turn right after crossing over railway lines onto Steeping Road. Caravans to enter through second entrance. 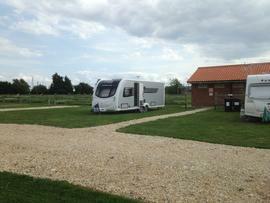 Touring Caravans £14.00 per night (includes 2 x adults). 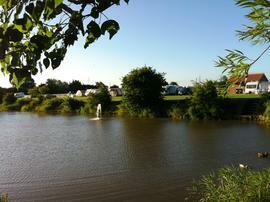 Tents £20 per night (includes 2 x adults). £3.00 per night for electricity (16amp). 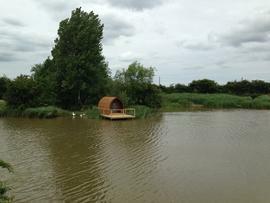 Camping Pod - £75.00 per night (includes 2 x adults)- 2 night minimum stay. As we are an Adult site only, our prices are the same all year round. If you have questions about this campsite in particular please contact them via the means below.